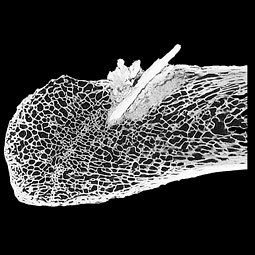 Last October, new research in the journal Science said the bone and its accompanying hand-hewn projectile dates North America’s earliest known inhabitants to 13,800 years ago, 800 years earlier than the Clovis people, long regarded as the New World’s oldest culture. That conclusion was vindication for Gustafson, who had faced several decades of skepticism. But it was only one in a series of discoveries, the sum of which makes one of the state’s great scientific stories. 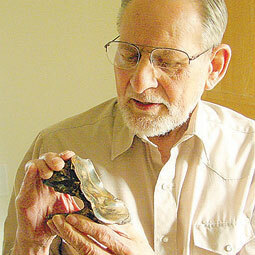 First came Manny and Clare Manis’s discovery of Sequim while on their honeymoon in 1971. They bought 16 acres in Happy Valley and moved up from California in 1975, planning to homestead. Manny, a machinist by trade and handyman by vocation, laid the bricks for their house and fixed the pin-setting machines of the bowling alley they bought. “Manny could do just about anything, including finding mastodons,” says Clare Manis Hatler, who remarried after Manny died in 2000. In 1977, Manny discovered that the dry summer had drained the bog in front of their house enough that he could start digging out a pond with a backhoe he had rebuilt. He had dug a trench halfway around the area when he pulled up what looked like a curved, four-foot-long log, followed by one six feet long. The second one had a chalky white end, and when he cleaned it off for a better look, he realized it was some sort of elephant tusk. Clare tracked down Richard Daugherty, the WSU anthropology professor, and a little more than a week later a team that included Gustafson started picking through the earth Manis had dug up. 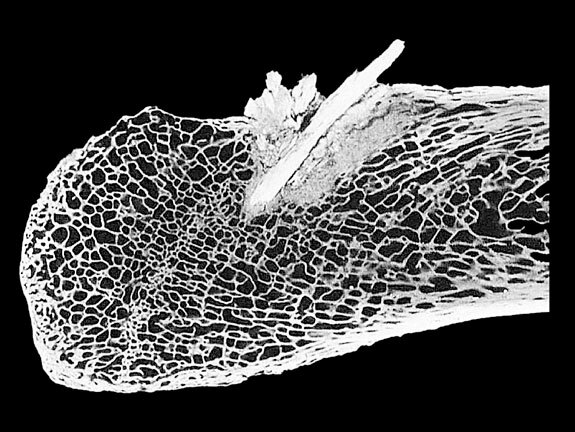 A couple hours in, Gustafson chanced upon the rib fragment and felt a small piece of bone protruding from it. Sediment around the bones was deposited soon after the last Ice Age glaciers, so the researchers assumed the site was 13,000 to 14,000 years old. If that projectile point was indeed from a human, it was evidence of the oldest human settlement in the Northwest. 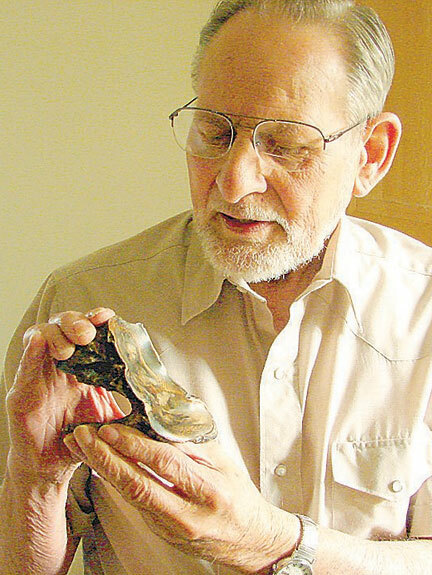 Three days after the researchers arrived, field supervisor Delbert Gilbow washed loose a molar tooth that he quickly realized came from a mastodon. Now the researchers were really on to something: the first evidence of humans hunting mastodons in North America. Daugherty took Manny and Clare aside and explained that this was now an important find, that reporters and other interested people were about to overrun their property. He suggested they put up a fence, post a sign giving specific hours when the place was open, and charge a few bucks to defray costs and discourage idle passersby. Manny built a gate, outhouse, and parking lot, fenced cows away from the dig, and turned a barn into a theater, where he showed an audio slide show. The Manises ended up entertaining 50,000 people from all 50 states and 43 countries. Radiocarbon dating put the rib bone at around 14,000 years old, but Gustafson faced sizeable disbelief from other archaeologists. They wanted to see stone tools at the site and questioned if the projectile point was from a human or, say, another animal’s antler. It frustrated Gustafson, but over the years he was resigned to being disbelieved. “I accepted the fate of the site, so to speak,” he says. But recently a team led by Michael Waters of the Center for the Study of the First Americans at Texas A&M University offered to reexamine the materials with more modern techniques, including DNA analysis, CT scanning, and mass spectrometry. 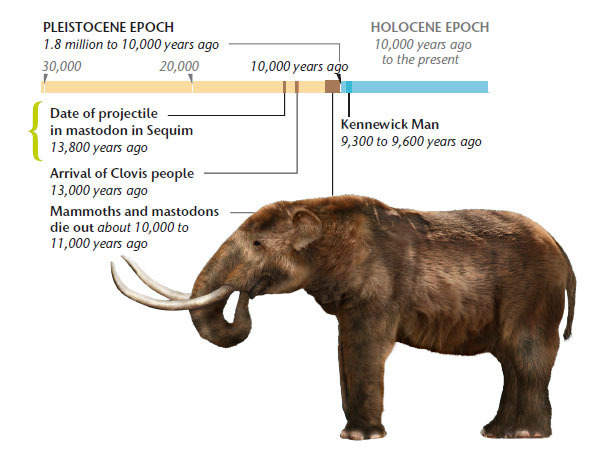 The testing showed the projectile was the bone of another mastodon and it had to have been sharpened to a point by a human 13,800 years ago. And of all the manifold discoveries that grew from the bucket of the Manis backhoe, Gustafson is fond of saying the ensuing story is as much about people, particularly the Manises, as it is about archaeology.